The industrial style is gaining popularity; recreate the ‘pared-back’ look in your home. 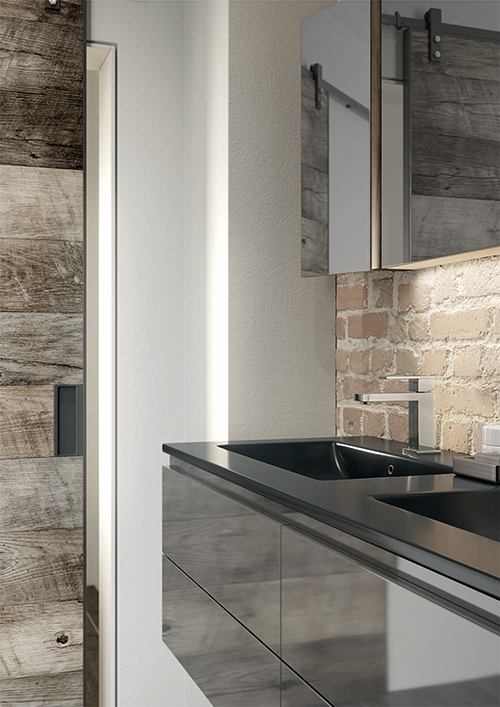 With former industrial buildings being converted into domestic dwellings in cities across the globe, the ‘industrial style’ is gaining popularity as a contemporary bathroom design scheme. Focusing on textures, weathered finishes and exposed fittings, this desirable utilitarian trend borrows the architectural designs of 20th century ironmongeries, such as warehouses and factories, to produce an industrial, modern-chic appearance. To recreate that manufactured edge within a domestic setting, selecting a classic white as your base colour will brighten and enlarge your bathroom whilst allowing metallic finishes and contrasting shades like grey and black to underline the urban feel. Once purposely used within underground infrastructures, concrete walls with a weathered, textured finish make the ideal setting for an alcove shower space, with bevelled, white subway tiles around the bath and basin reinforcing the metro-styled aesthetic. Adding texture and colour, raw red brick interiors will also reflect the factory look and feel whilst creating a naturally warm atmosphere. To accentuate the pared back appearance, exposing pipes and fixings are an essential way of creating an authentic industrial appeal with weathered, metallic tones adding some much-needed colour to an often monochrome interior. Copper freestanding baths, coordinate perfectly with metallic tones adding a rich and ornate touch of 1920’s glamour whilst standing firm as the centrepiece to any contemporary bathroom. For your basin or vanity unit, using a smooth concrete finish as your choice of surface will suitably contrast a white base colour for a fresh and clean finish, complementing any darker shades to add a robust, contemporary feel. 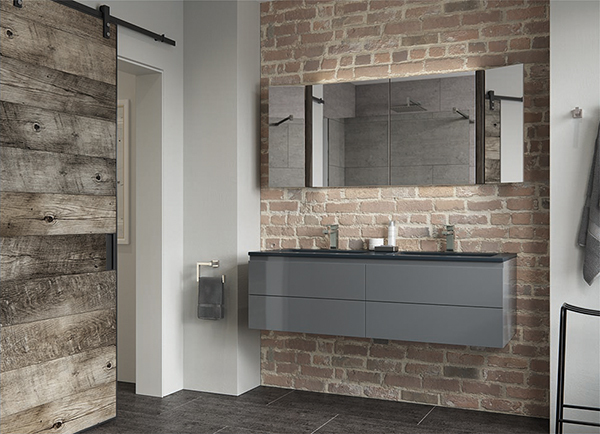 Reclaimed wooden, freestanding vanity units can often provide a cheaper alternative whilst a metal framed, marble countertop will deliver a refined, minimalist appearance. When selecting bathroom brassware to accompany your bath and basin, it’s important to continue using those metallic tones to reinforce the industrialised chic aesthetic. 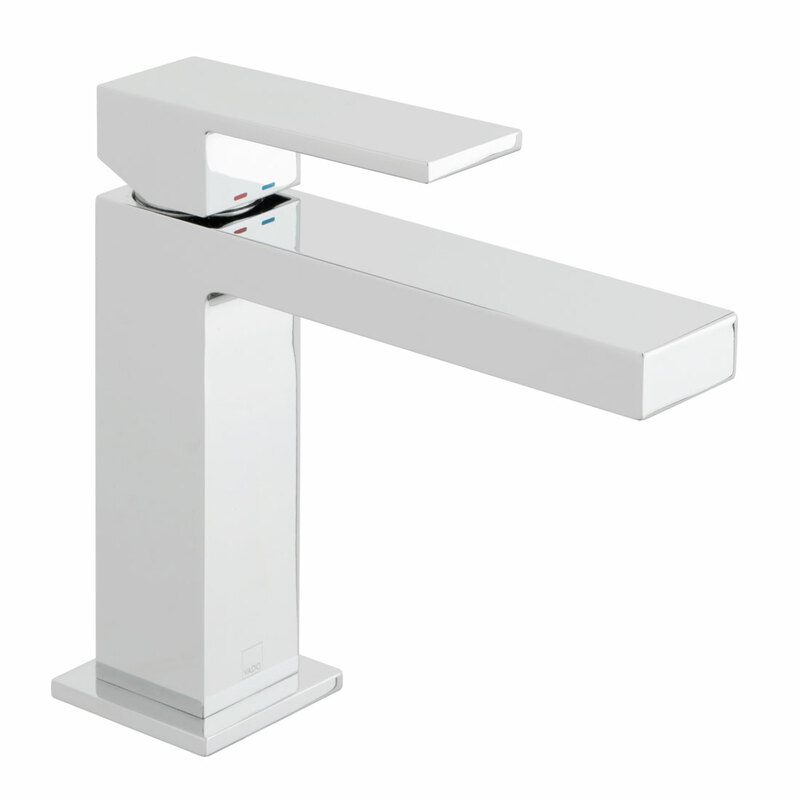 Although chrome can be universally adapted to any urban design, basin mixers in brushed gold or nickel can add colour and charisma to offer a more alluring, weathered form. A wall mounted, two-hole basin mixer will complement any concrete or marble countertop, whereby a deck mounted three-holed basin mixer, when teamed with a reclaimed, wooden vanity unit can transform your restoration. Using the same finish chosen for the taps, a floor mounted bath shower mixer accompanying a showpiece freestanding bath will further enhance the exposed, urban appeal. For a more authentic, industrialised shower space, an exposed thermostatic valve and shower column combination highlights the pared back appearance by displaying metallic piping. If you’re looking for a modern, minimalist twist on an urban scheme, a concealed thermostatic valve with a ceiling mounted shower head will further enhance an understated interior especially if installed with a black, crittall shower enclosure to complete this unique design. Selecting the right lighting to complement your industrial design will also help to complete a raw, utilitarian environment. Taking inspiration from low-lit factories, prisons and warehouses, heavy-duty lamps and iron-wired, pendant lighting will work to create an atmospheric ambiance. If space allows for additional storage options, incorporating a freestanding, iron caged shelving unit is a simple way for removing unwanted clutter with an eclectric look and feel. Shelving supported by wall mounted iron arms can be a fantastic storage solution for a small and large bathrooms alike. To complete your industrialised bathroom design, a traditional, copper framed mirror over your basin will create an illusion of space and further bolster the rustic, metallic look. Reminiscent of derelict warehousing, sparingly using plants on your countertop and shelving units will help to balance and add colour to the bathroom. Have you got piping, wood and other household materials lying dormant in your garage? Many fixings and furniture items specified for industrial design, such as shelving units, lamps and railings, are often hand manufactured and upcycled. For a cost-efficient bathroom that you can be proud of, try turning your unused materials into some stylish and on-trend fixtures and accessories.